The Konftel 300Wx is an innovative, wireless conference phone with tremendous flexibility and a sleek, Scandinavian design. No need for phone lines and power outlets. Once recharged, its battery runs for a whole working week! 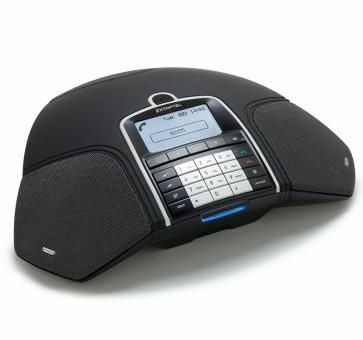 Connect to DECT, mobile phone or via USB for VoIP calls. Incorporates OmniSound® 2.0 for sensational audio quality. The Konftel 300Wx incorporates many easy-to-use, intelligent features such as SD memory card call recording capability, a conference guide and line mode (mobile, DECT and USB).